The most enduring rivalry in Indian badminton will be on display once again on Saturday when global superstars PV Sindhu and Saina Nehwal lock horns at the Nabin Chandra Bordoloi Indoor Stadium and lend a blockbuster opening to the third edition of the Vodafone Premier Badminton League. In what promises to be an exciting opener, the Sindhu-led Chennai Smashers, who are the defending champions, will meet Saina’s Awadhe Warriors, the most consistent team of the league. Sindhu, currently ranked No 3 in the World, holds a 2-1 edge in her recent meetings against Saina, with her only loss coming in a riveting Senior National Championship finale held at Nagpur last month. 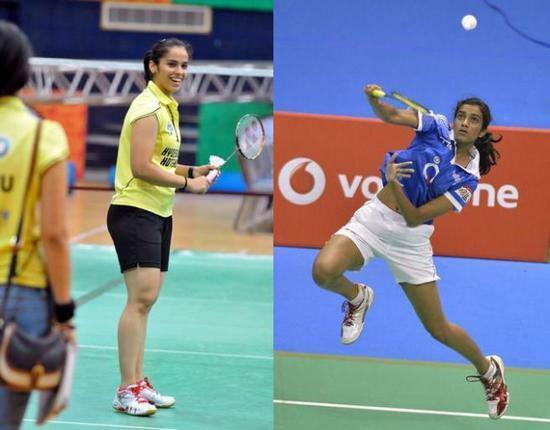 It is not just a personal battle of the two Indian girls as they would also be looking to guide their respective teams to glory in a highly-competitive league that also features the world’s top players including men’s World No1 Viktor Axlesson (Denmark) and women’s No1 Tai Tzu Ying (Taiwan). Eight teams, including two new entrants Ahmedabad Smash Masters and North Eastern Warriors, will line up against each other in five cities beginning with Guwahati on Saturday. Each team will have one junior player travelling with their respective team to get the exposure and learn from the world’s best.